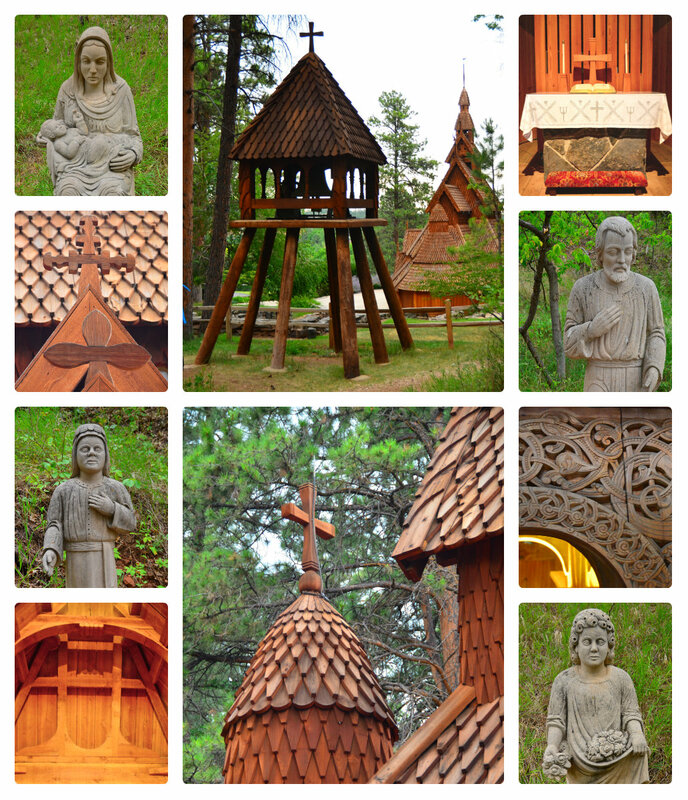 Chapel-in-the-Hills is a lovely little place in Rapid City, South Dakota. 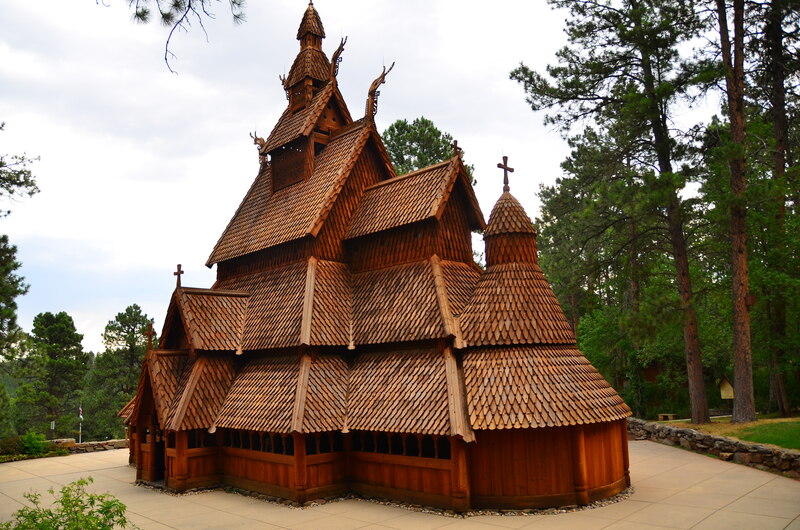 As an art history student I did a report on the Borgund Stave Church, but I have yet to travel to Norway to see it in person. So when I heard that there was a near exact replica in South Dakota, I was insistent that it be one of our stops during our Road Trip Extravaganza. It was a perfect stop. We were the only ones there besides the volunteers, and it was quiet and peaceful. 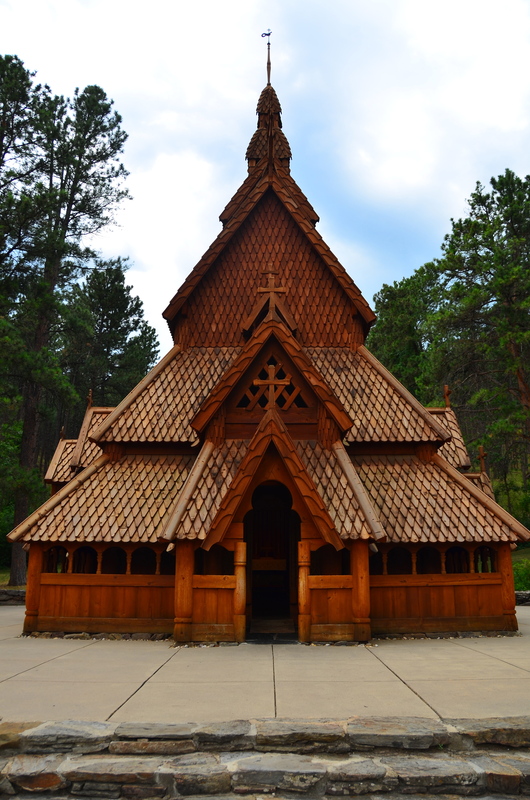 I love how this ancient all wood “Stave” church combines elements of the sacred and the pagan. 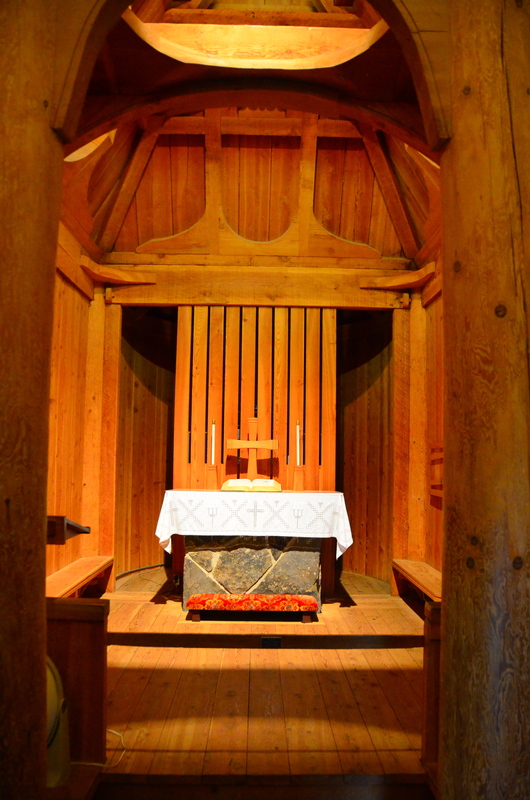 The original church is made entirely of wood; even the nails are made of wood. I did see a few metallic nails used on this replica, but the vast majority of it it is made of wood like the original. 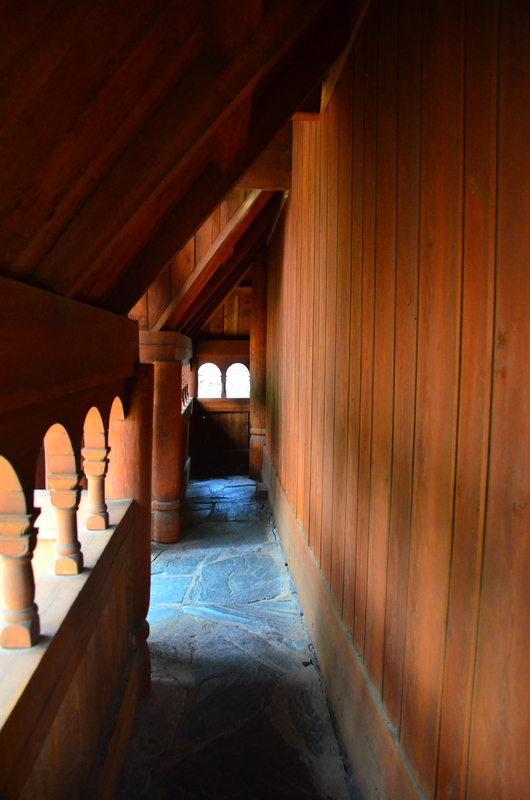 But this is not the kind of place you just talk about–you have to see it! Back/Side view of this tiny chapel. From this angle you can see the unique dragon heads. 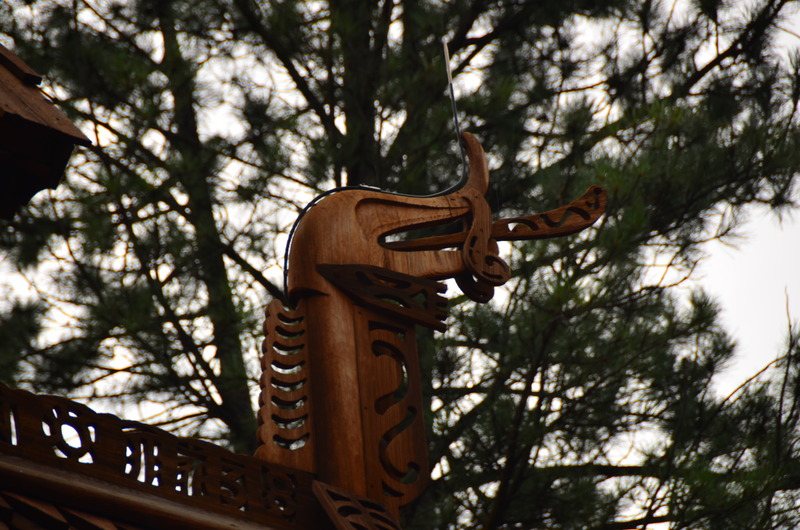 The Vikings couldn’t quite give up their pagan religion completely; dragon heads adorn the top to ward off evil. The ambulatory is outside the church, but covered, to provide a place for people to wait in inclement weather and also to serve as a place to leave weapons. For real. 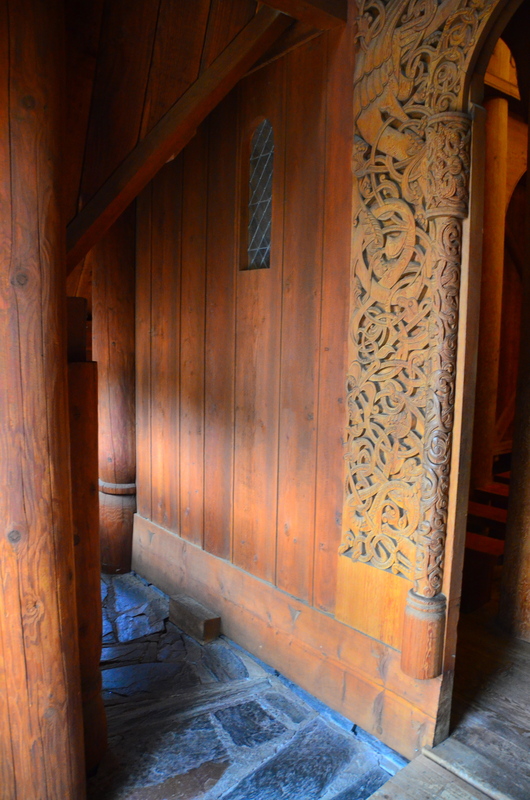 Intricate wood carving typical of the Medieval Nordic tradition. Behind the church is a sacred prayer walk. Just as we were walking along the wind picked up and it looked like it might storm, but beyond a few sporadic sprinkles, we did not get caught in anything too wet. Bell Tower behind the church from the prayer walk. 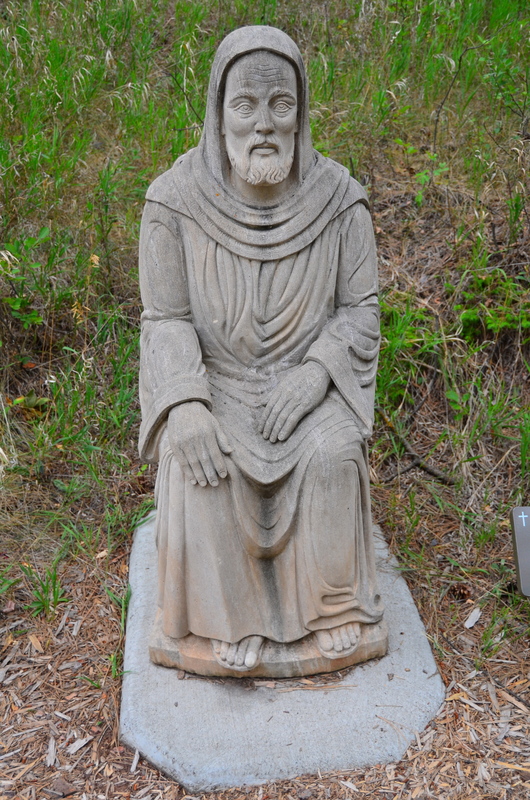 There are a series of devotional statues along the walk to help with prayer and meditation. 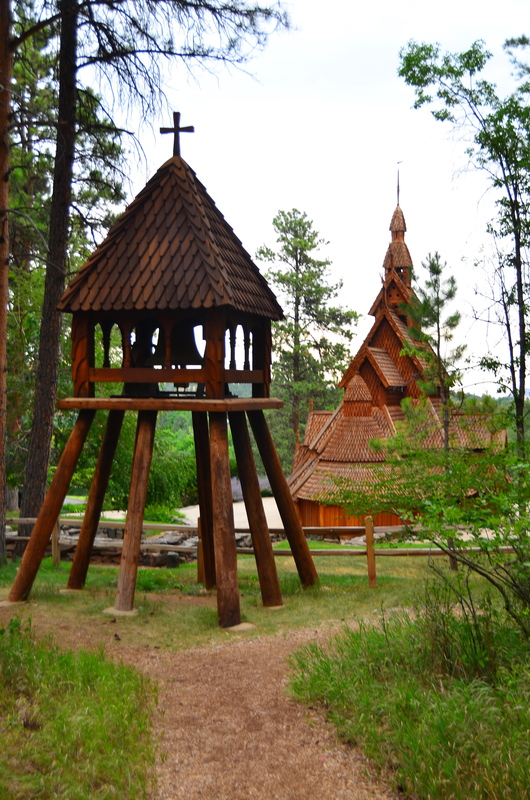 On the grounds is a tiny museum of pioneering Nordic life, as well as a charming gift shop. A few choice items might have found their way into my shopping bag for Christmas. For such a tiny shop it had a commendable selection of books. To get to the church you have to drive off the freeway for about 15 minutes, but I was sure glad we did. After a long day of driving beauty and peace provided a rejuvenating respite. I looks a little bit like some of the churches I have seen in Finland. One day I hope to go to Finland! Hey Mom! Thanks for reading my blog! Thanks for stopping by! It was really a lovely stop. Hope you get to see it some day! Are you from India? Have you seen my posts on India? So far, India has been one of my favorite places to visit. What memories! 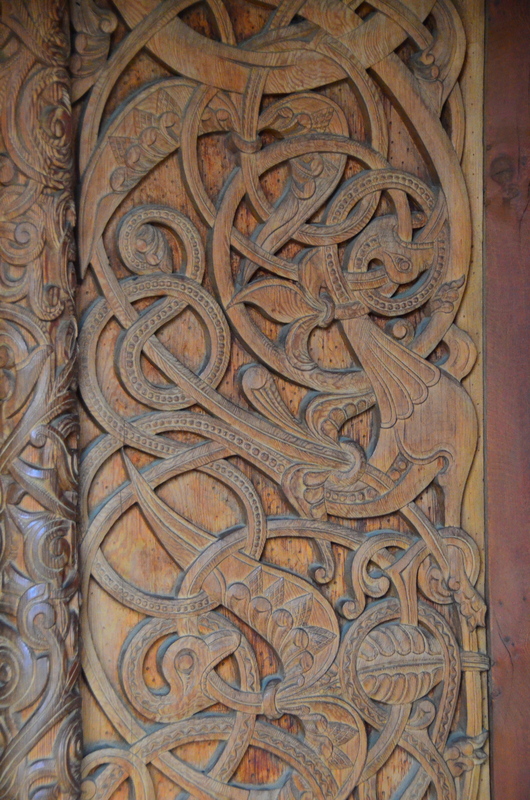 Never knew that the Norse had such great carvings, I thought those were Celtic, Now I know why I liked that style so much all this time even though I wasn’t Irish. Celtic designs are incredibly similar!